For the past few days, there has been a lot of media attention in Finland towards two giant pandas, which were airlifted from China and brought to the Ähtäri zoo in the central part of the country, following a deal in which they were loaned there for fifteen years. During the discussion rising from this “news spectacle”, a friend of mine decided to write in her blog about these animals, both from the perspective of animal rights, and the panda-deal’s political ramifications. You see, pandas have been rather important for the People’s Republic of China, namely as tools of their foreign policy and public image. Considering that many of the recent Chinese activities globally are rather less cute than their precious pandas, I decided to write a little bit about what they have been up to, for those who are not aware of it. As many people have probably realized, during the last fifteen years or so, China is increasingly aiming to become the single most powerful nation on the planet, and wants to achieve a position which is at least as hegemonic as that of the United States has been after the end of the Cold War. Considering that the Chinese armed forces are still far from what they should be, China has been using alternative “soft power” ways to increase its standing, namely economic and diplomatic influence. To secure its economic might, China has been investing aggressively in certain regions, including Australia, Central Asia, and Africa. Some of these investments and their respective deals have not been exactly clean, and often the locals have found that they have not created jobs in the area, as the Chinese are fond of using their own semi-slave workforce. The Chinese have been rather creative in twisting deals, using bribery, and adding diplomatic pressure and military aspects to some of the negotiations. While China’s situation with its soft power has been good for a long time, its “hard power”, namely the armed forces, has been lagging behind. The United States still remains the supreme naval power, which limits the impact of the Chinese military outside of its borders, even though the Americans can’t be everywhere at once. 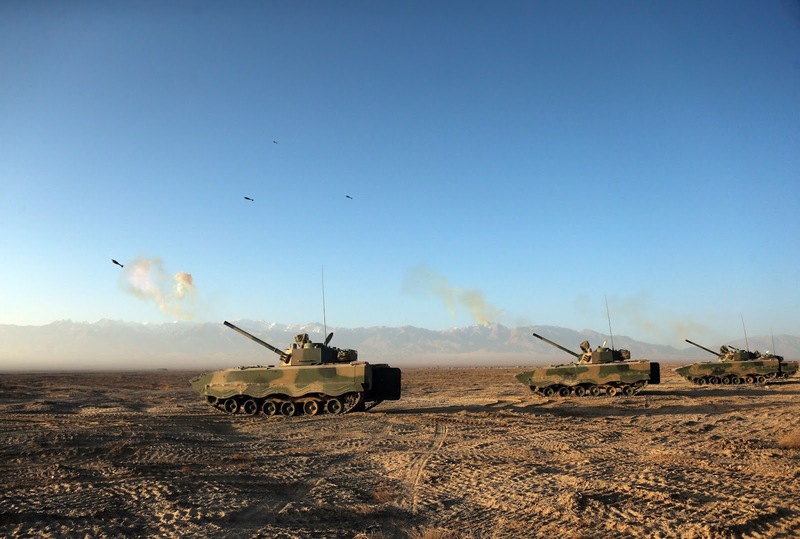 Recent reforms in the Chinese People’s Liberation Army (PLA) have been aimed to reduce the size of its ground force, and in turn increase its air and sea power. 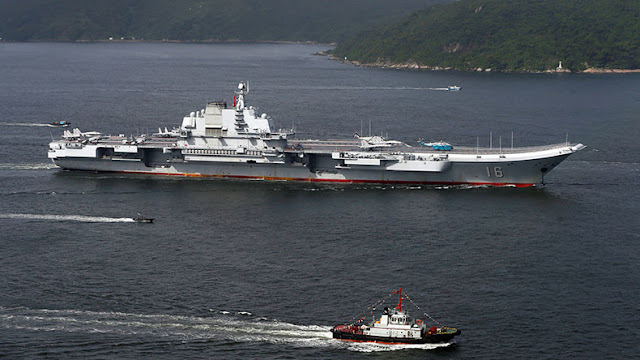 The old Soviet-made light aircraft carrier Varyag (renamed Liaoning) which was acquired incomplete from the Ukraine, has long since been completed according to Chinese specifications, and a Chinese-made sister ship will soon be entering service. Furthermore, construction is starting on larger Chinese-designed aircraft carriers of the Type 002 class. In addition to aircraft carriers, China has recently built a large number of new destroyers and amphibious warfare vessels for its navy, and has also transferred mechanized infantry units capable of amphibious landings from the PLA Ground Forces to the Marine Corps of the PLA Navy. All of this is aimed at increasing China’s ability to project its power outside of its borders. As the People’s Republic of China is a totalitarian oligarchy, or perhaps a dictatorship under Xi Jinping, economic and military policies are constantly mixed in the decision-making, without any internal dissent. The increasing Chinese influence and power in regions like Africa grants the nation vast resources, but at the same time creates the need to protect these from both possible regional instability and maritime action by foreign powers. To deal with these issues, China has begun constructing military bases in Africa. It’s also increasingly building military infrastructure in the South China Sea, and is strengthening its navy. 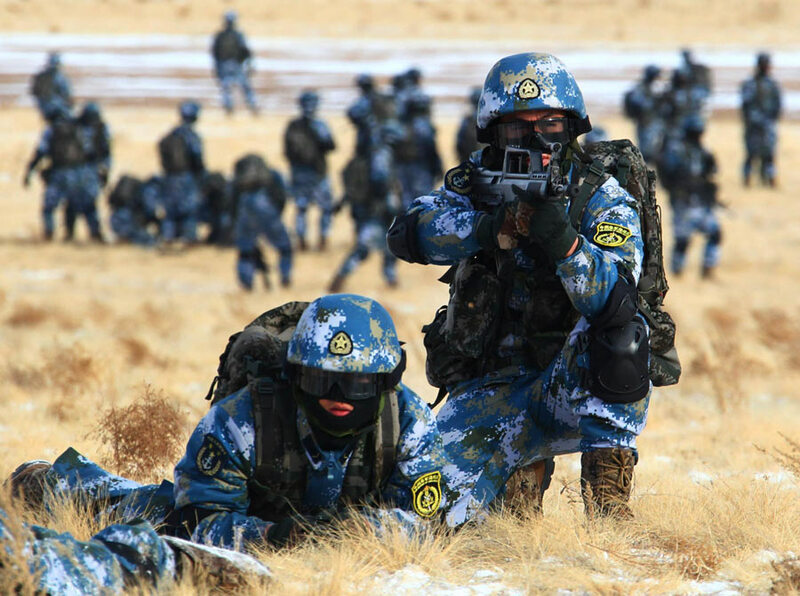 In the future, China will most likely only increase its military presence abroad, and will acquire influence not only in the developing countries, but will also attempt to increase its internal leverage in the free economies of the west. Western democracies are somewhat hampered in this by their own free market liberalism and timidness, and it is unlikely that they will be able to resist the long term increase of Chinese influence. At this point, it is becoming increasingly clear that the country which will be calling the shots in the future is rather ironically the one which has caused the most deaths of its own citizens among modern states, mostly during the reign of Mao Zedong, a man still revered by many in China.